Unicorns are all the rage! As we like to provide you with coloring pages, we thought it would be nice to give you some unicorn coloring pages; both kids and adult ones. As you can see, this is part of our series of adult and kids coloring, designed for you to be able to do with the kids. We like to help you be mindful with your children, and so we have a kids, and an adult version of these unicorn coloring pages for you. We have a gorgeous eColoring book as well that you can take a look at too. Just for the price of a coffee if you like these pictures; all the designs are wild animals and in the same style. 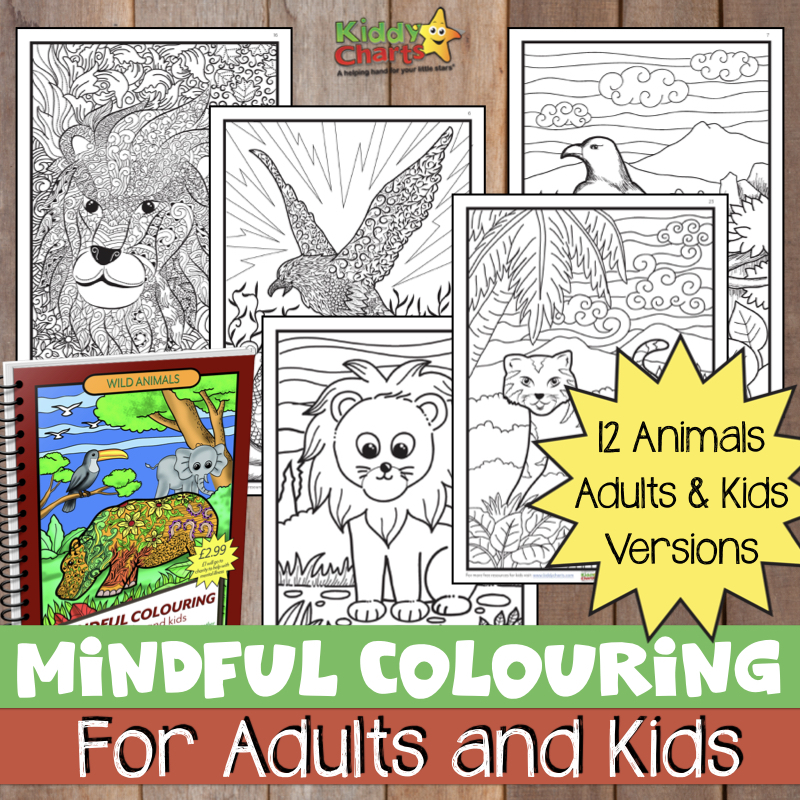 We have a few of these adult and kid free coloring resources on the site; why not check some of the other ones out? How about some butterfly and moth kids and adult coloring pages too. To download our unicorn coloring pages – just click on the square image below, and they are yours. I Heart Crafty Things has an an incredibly cure little unicorn craft for you to try out. Why not make yourself a little unicorn puppet with the kids? I am sure that you will agree that there are plenty of gorgeous crafts for you to take a look at there; and seem even more fabulous coloring pages. Don’t forget to check out our coloring eBook as well. For every one sold, we are donating to mental health charities. Just pop along to our eColoring blog post, and check it out. We hope you like this article, and if you do, why not subscribe to our weekly newsletter? We try and produce a new resource on the site for you every single week. From free educational resources, to some gorgeous worksheets for the kids. Pop you email address below to sign up. Thanks for coming to see us today, and we very much hope that you will come back and see us again soon.